Hello! Here is my week in Instagram photos. I have posted quite a lot this week which is good! 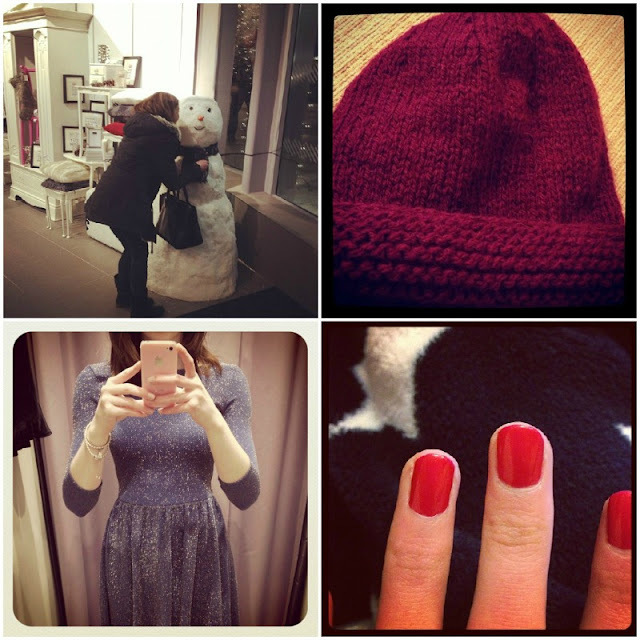 Found the snowman in John Lewis from their Christmas advert // My mum knitted me a beanie hat and I love it! // Found this dress is Topshop and I was going to buy it for my Christmas party. I found something else in the end and an outfit post should be up soon! // Painted my nails for Christmas // I got this adorable Miss Dior perfume sample // My advent calendar! // Me after my Christmas party // My cat is staying warm on the radiator. I hope you are having a lovely week! I am getting so excited for Christmas now! I am keeping a list of any posts I want to write and any requests people ask me so if you have any posts you would like me to write then please let me know. 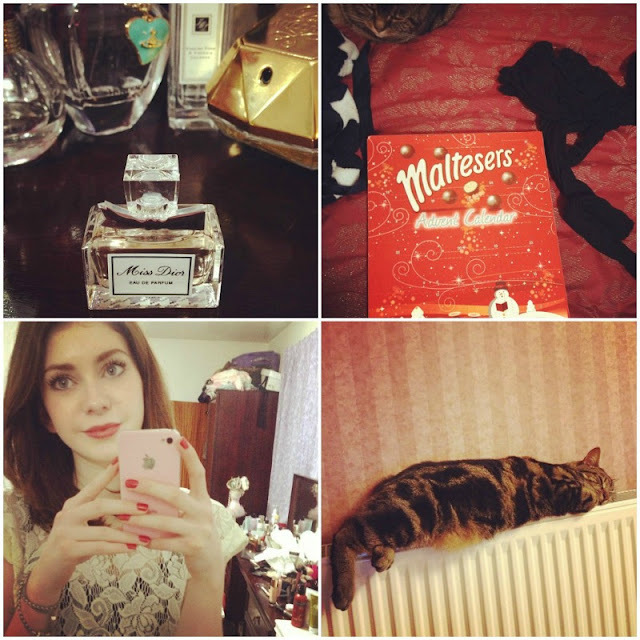 Your nails are fab and now Im in the mood for maltesers haha, youre so pretty too! I love your red nails! What polish is that?